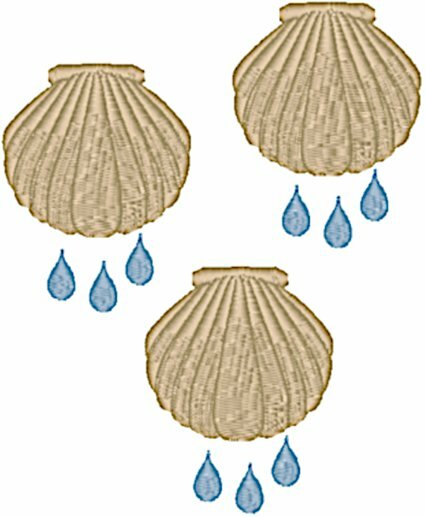 In this design the shells are depicted with three drops beneath them, symbolizing the Holy Trinity, who are present at a Holy Baptism. The sewn out size for the 4" x 4" hoop is 3.17" W x 3.88" H with 10,197 stitches. The sewn out size for the 5" x 7" hoop is 4.96" W x 6.06" H with 23,891 stitches. The sewn out size for the 7.75" x 11.75" hoop is 7.71" W x 9.43" H with 55,829 stitches.